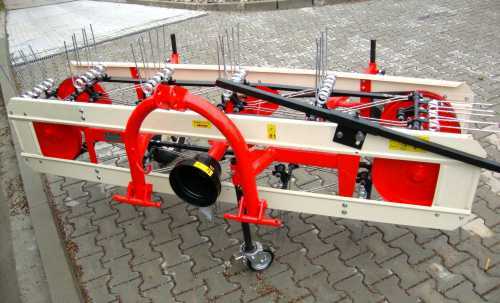 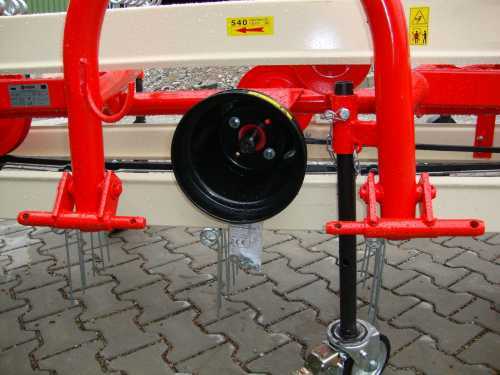 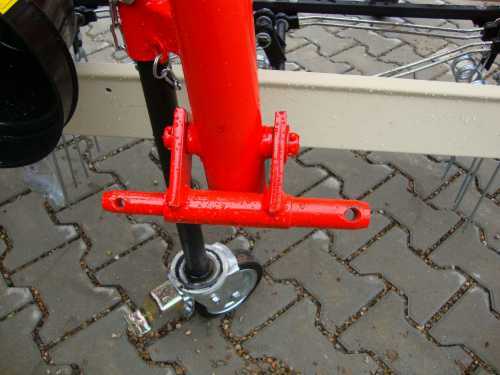 This tedder fits to the rear three-point linkage KATI and KAT2. 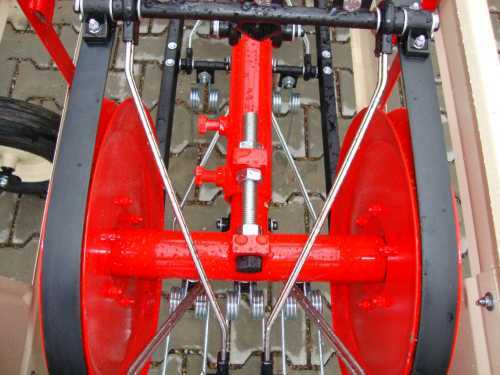 It is driven by a standard PTO shaft 1 3/8 clockwise. 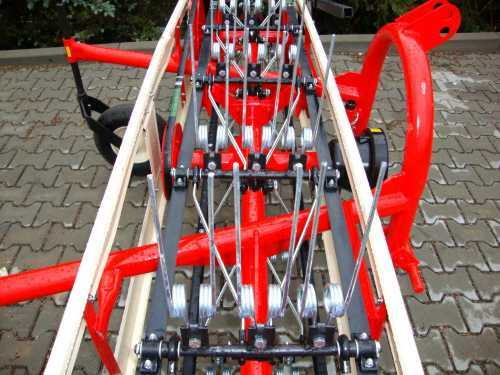 The working width of the belt hay tedder is 2.10 m.
The swath board is included. 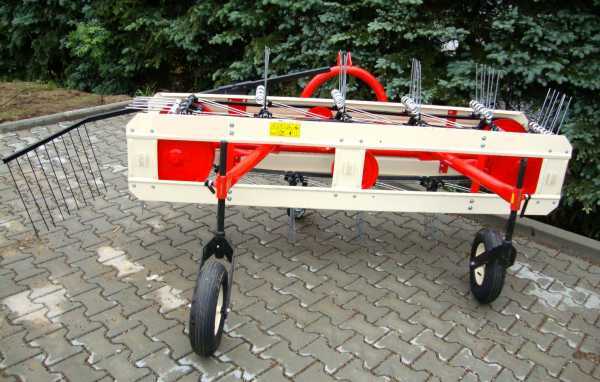 If the swath board is set up - it can be a very good swath. 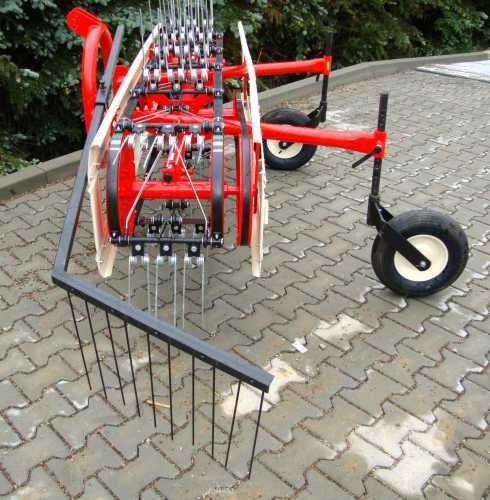 The tedder is compact and requires very little power - 12 PS are already sufficient.